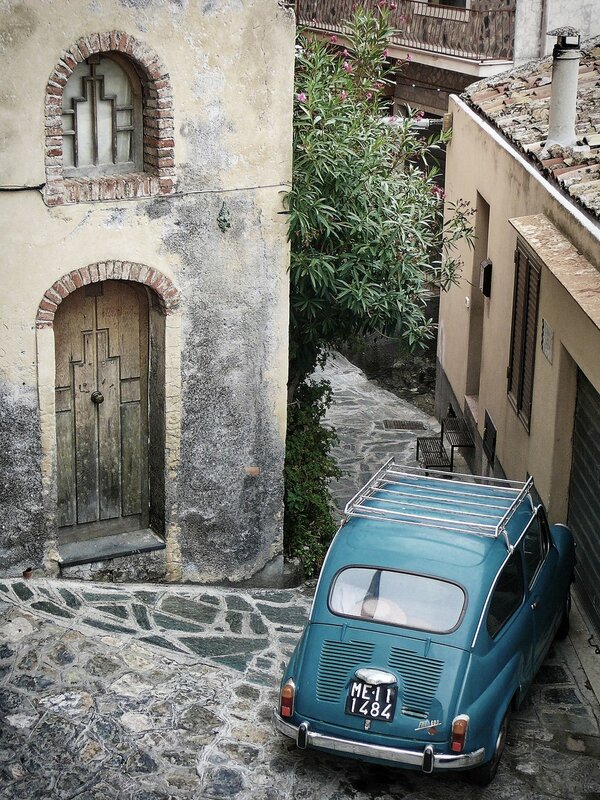 Undiscovered Italy — Sofia Travel Co.
Use the form on the right to contact us and we'll get right back to you! 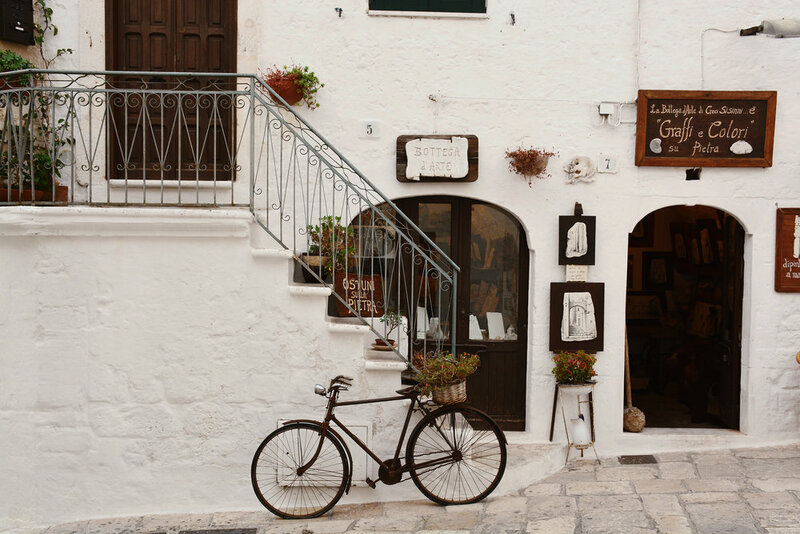 The greatest joy in traveling is the spirit of exploration, and nowhere is this more true than in Italy. Travelers go to Italy to see the sights but fall in love with Italy when they experience life amongst the locals. Touristic sites are good for a photo, but historical discovery and authentic cultural encounters—the kinds that you only find when you go off-the-beaten-path—stay with you for a lifetime. 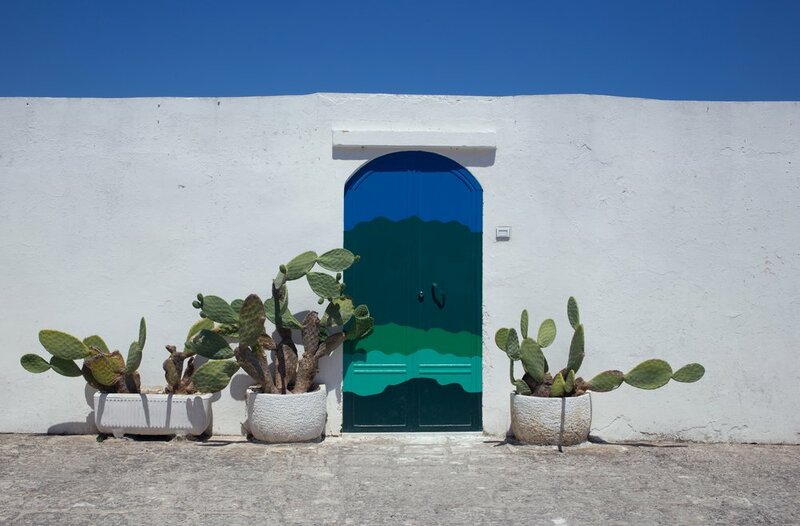 Over the past many years, we have had the matchless pleasure of exploring rustic Southern Italy. Using the knowledge and experience gained from years of tours led to Rome and Venice, Tuscany and Umbria, we began exploring the less visited corners of Italy. Places like Matera, Puglia, and Naples quickly revealed a beauty equal to Northern Italy but with a unique culture, history, and disposition tied more to the Mediterranean, Sicily, Greece, and North Africa than central Europe. The further we explored, the more we realized that the dream of visiting an "undiscovered" Italy before the advent of group tours wasn't a fantasy; it was waiting for us in Southern Italy. 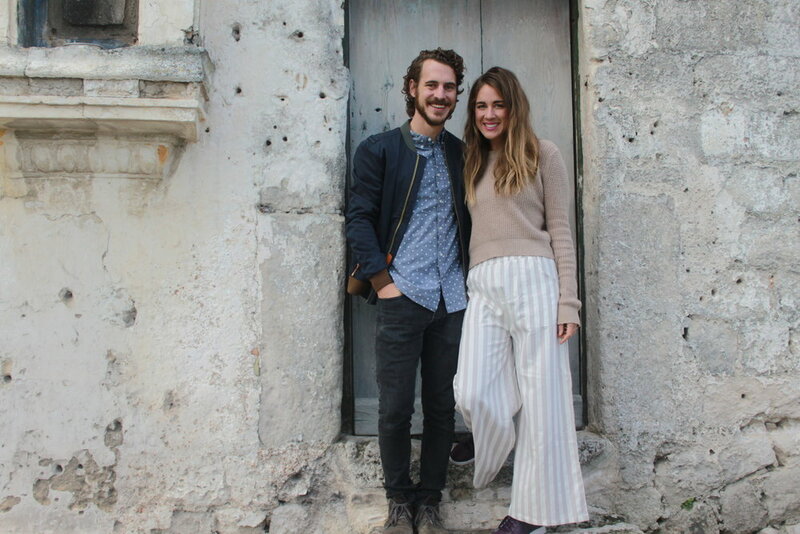 This tour is a labor of love, a desire to share with you the unforgettable experiences, places, and people we have met during our travels in Southern Italy. Come join us as we explore Undiscovered Italy together! 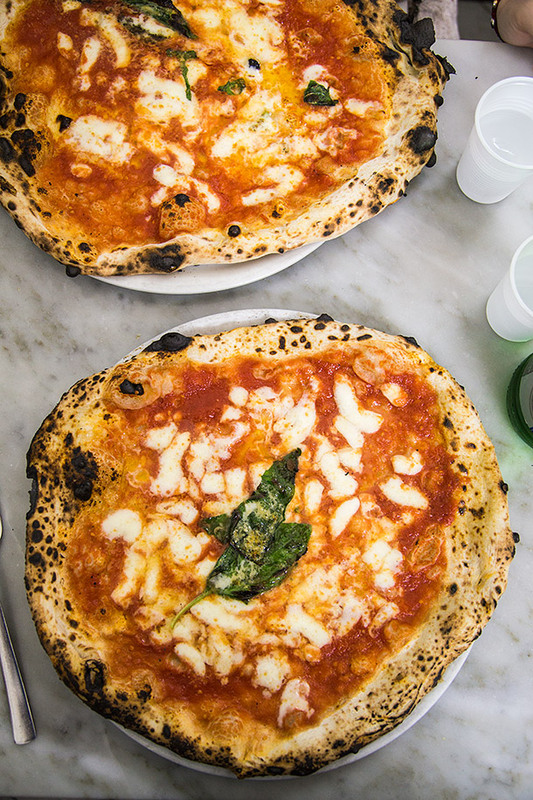 One of the planet’s truly legendary cities, Naples is awash in history. From our waterfront hotel in Naples’ most elegant neighborhood, we’ll explore this unofficial capital of Southern Italy with its world-famous cuisine, opulent grandeur, and larger-than-life culture. Naples is a world unto itself. Founded over 3,000 years ago, Naples prospered during the 16th-18th centuries to become one of the greatest cities of Europe. Our exploration of Naples begins with a cultural orientation to life in Southern Italy followed by a visit to the grandiose Piazza del Plebiscito. 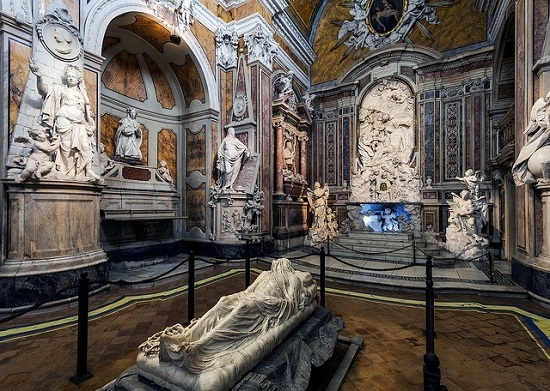 Then, try Naples’ legendary espresso and sweets at a 150 year old café before visiting the grand Duomo of Naples with its famous relic, the liquifying blood of Saint Januarius. After a group lunch, we begin exploring the dreamlike Historic Center of Naples, a maze of color, exuberance, and vitality. We marvel at Renaissance art from the grand masters and local crafts on the Via S. Gregorio Armeno before an optional visit to the exuberant Mercato Pignasecca. On this unforgettable day, we board private boats and set off into the Gulf of Naples to visit two picture-perfect islands. 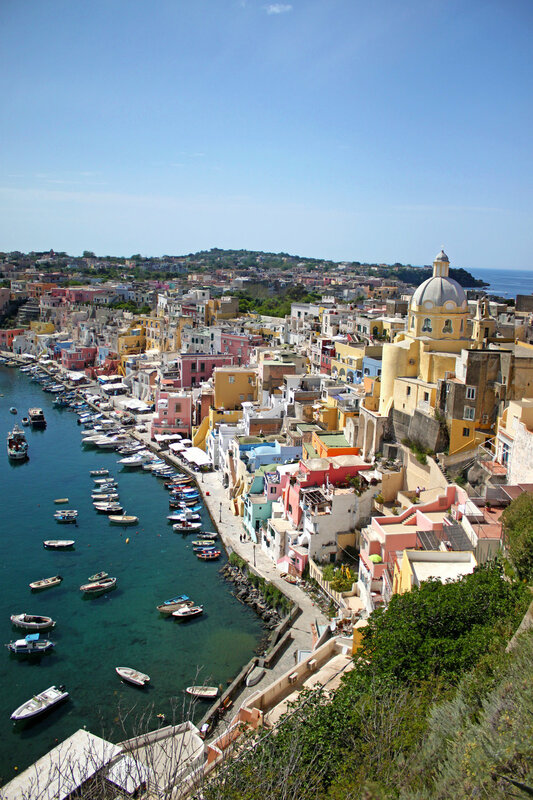 First, we dock at the small, colorful island of Procida where we enjoy a seafood lunch and the beautiful views of the pastel buildings trickling down the hillside towards the water. Today, take an optional visit to the world’s greatest archaeological site: Pompeii. We begin at the National Archaeological Museum of Naples, which houses the major finds from Pompeii and the neighboring cities preserved by the explosion of Mount Vesuvius in 79 AD. Marvel at magnificent bronze and marble statues, amazingly preserved frescoes, and numerous items from everyday life that testify to the impressive advances of Roman Civilization. After lunch, head to Pompeii and begin a walking tour of this expansive ancient town. Stand in the Forum with Mount Vesuvius in the background, explore ancient bath houses, walk into Roman homes, and enter the arena of an ancient amphitheater. Matera is like a dream. Carved into the side of a gorge during the Stone Age, Matera is one of the world’s longest continually inhabited cities. 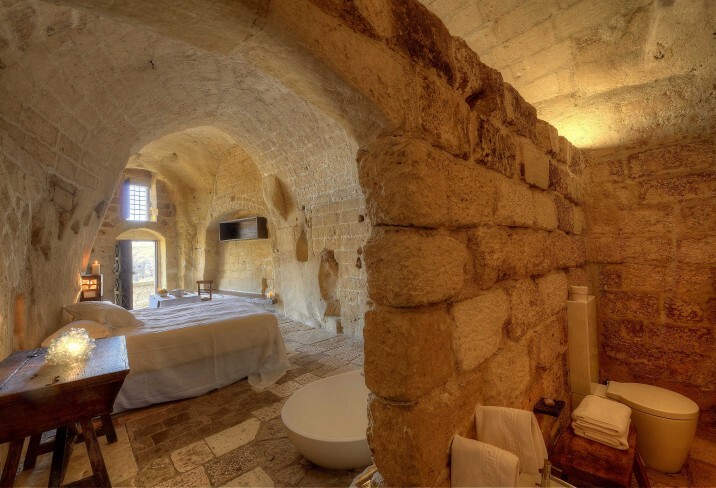 Stay in an unforgettable, restored cave hotel as we explore this haunting stone city, Europe’s 2019 Capital of Culture. Depart Naples and visit the countryside farm of Filippo Morese, who, after nine generations and three centuries, continues his family tradition of raising water buffaloes for the production of buffalo mozzarella. After watching the remarkable mozzarella production process, Filippo will show us his water buffalo before a tasting of the unbelievably fresh and flavorful cheese, yogurt, and even gelato. 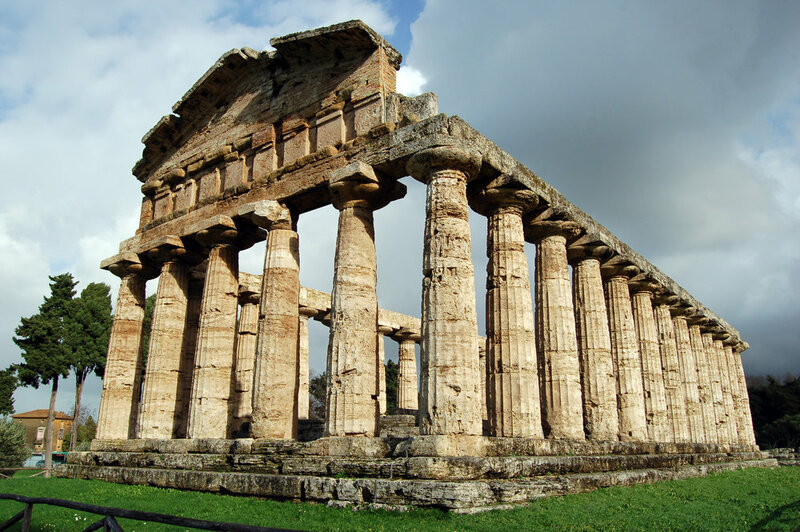 We then continue to one of the oldest and best preserved archaeological sites of Italy, the Greek temples of Paestum. Founded by Greek settlers over 2,500 years ago, this sprawling ancient city is most famous for its three remarkable Doric temples, the best preserved on the planet. 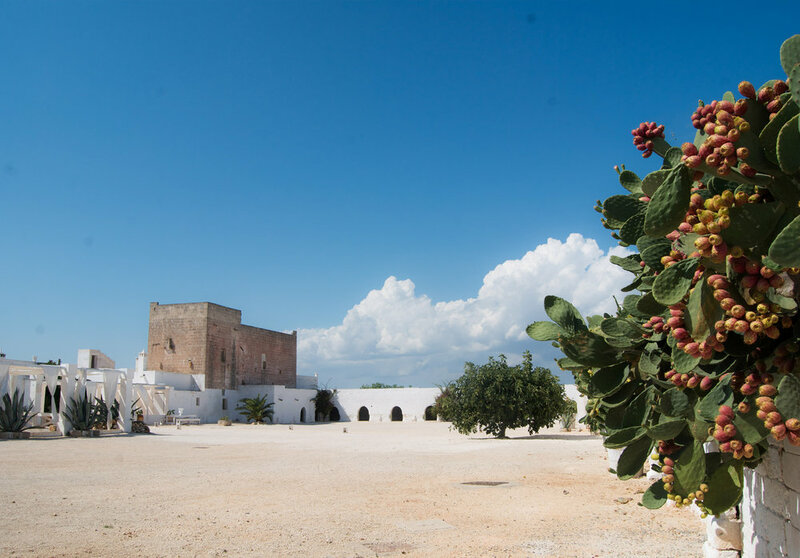 Explore Italy’s rustic heel in an ethereal masseria—a fortress-like countryside estate—beautifully restored to its 16th c. glory. 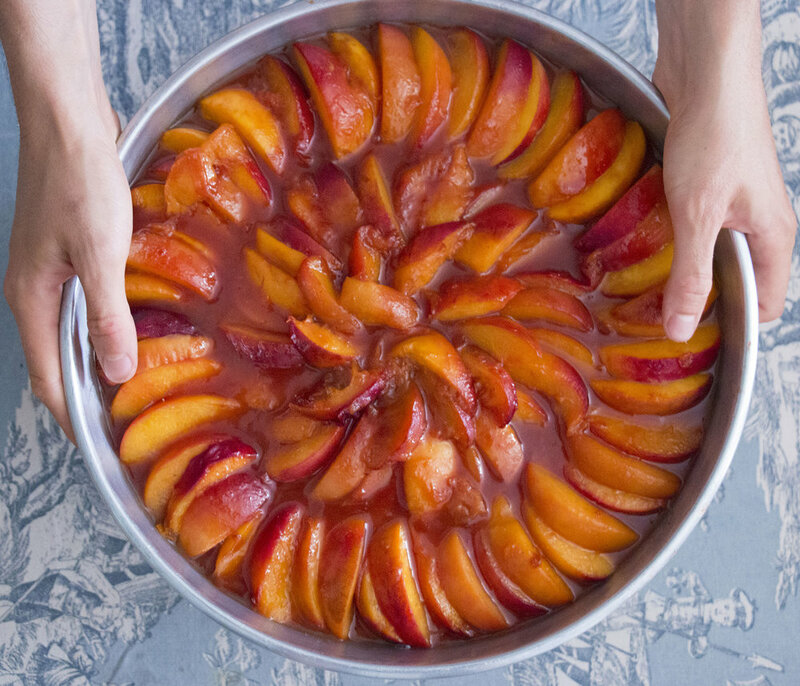 Experience the traditional Puglian lifestyle as we harvest olives from 2,000 year old trees, bake bread with a local chef, and learn to dance the pizzica. Enjoy the morning at leisure to shop in the boutiques of Matera or hike through the stunning Gravina River gorge directly in front of our hotel for stunning views looking back towards Matera. In the late morning, leave Matera and head to Puglia via the coastal town of Taranto. After a group lunch, we explore the town’s history from its founding by Spartan settlers to becoming the principle Greek city of Southern Italy during the Classical Period. Its museum, a treasure trove of golden adornments, mosaics, and bronze armor, represents the premier collection of ancient Greek colonization in Italy, known since Roman times as Magna Grecia. Transfer to Bari or Brindisi for a return flight, or continue with four luxury nights on the island of Sicily. Soak up the vibrant culture of Sicily and enjoy the views of Mount Etna and the sea from your room at our elegant five-star accommodations. Your hotel, the Belmond Grand Hotel Timeo, has played host to emperors, artists, and kings for over a century and is located just beneath a 2,200 year old Greek theater. Enjoy a tour of stunning Taormina, make cannoli with a local chef, and drive a vintage Fiat 500 through the winding hills of Sicily to the hillside villages made famous in The Godfather.